Who doesn’t enjoy a frosty cold beer in the hot weather? 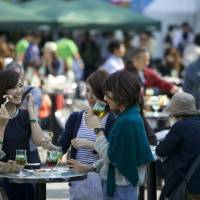 This weekend you can drink to your heart’s content, while enjoying a little culture at the Belgian Beer Weekend in Yamashita Park. You may be surprised to hear that Belgium has more than 150 breweries, which produce over 1,000 different types of beer. This weekend you can sample 49 of them, from a selection of 10 categories: pilsner, white beer, trappist beer, abbey beer, lambic beer, red beer, fruit beer, golden ale, saison beer and special beer. Since there are strong ties between Belgian cuisine and beer culture, the event also offers plenty of dishes to accompany your pint, so there’s no worry about drinking on an empty stomach. If fritkot (Belgian potato fries) and the wide selection of sausages, however, doesn’t sound like the perfect accompaniment to your beer, you can simply relax to live music instead. Roland, Anton Walgrave and Pieter-Jan de Smet bring a taste of Belgium’s best in musical talent. Entry is free and open to everyone, but food and drink must be purchased with tokens, and beer will only be served in the official Belgian Beer Weekend 2014 glass, which is sold at the event. 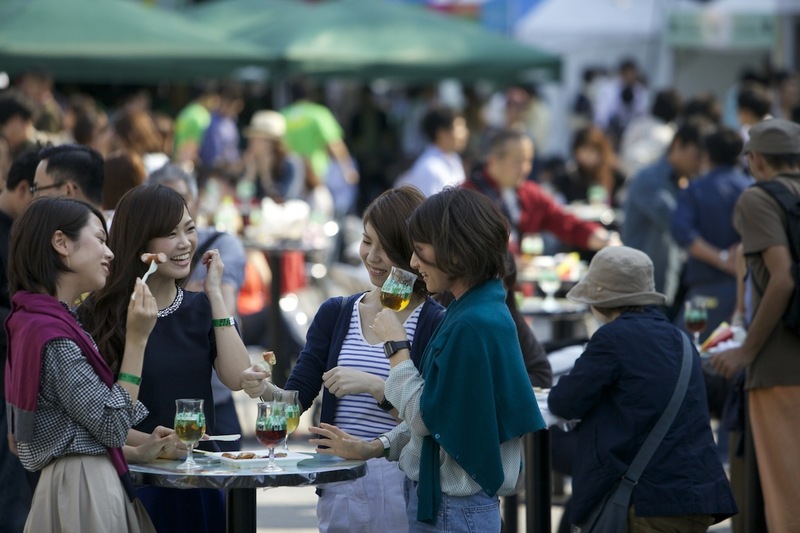 Belgian Beer Weekend takes place at Yamashita Park in Yokohama from July 2 to July 6, between 4 p.m. and 9 p.m. on weekdays and 11 a.m. and 9 p.m. on weekends. Entry is free but for beer and food, tokens need to be purchased. A day ticket us ¥3,100 in advance, and includes the Belgian Beer Weekend 2014 glass plus 11 tokens. For more information, visit www.belgianbeerweekend.jp/en/yokohama (English / Japanese).